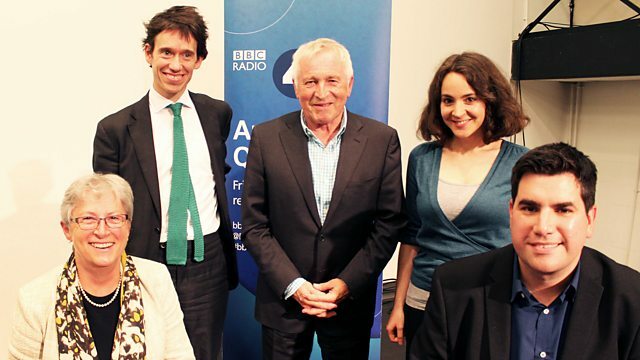 BBC Radio 4 - Any Questions?, Richard Burgon MP, Soumaya Keynes, Rory Stewart MP, Gisela Stuart. Richard Burgon MP, Soumaya Keynes, Rory Stewart MP, Gisela Stuart. Jonathan Dimbleby presents political debate from All Hallows Catholic School in Penwortham, Lancashire, with Richard Burgon MP, Soumaya Keynes, Rory Stewart MP and Gisela Stuart. Jonathan Dimbleby presents political debate from All Hallows Catholic High School in Penwortham, Lancashire, with International Development Minister Rory Stewart MP, Shadow Justice Secretary Richard Burgon, Economics and Trade correspondent for The Economist Soumaya Keynes, and the chair of Change Britain Gisela Stuart. Up for discussion are possible high tariffs after Brexit; whether the Universal Credit roll out should be put on hold; whether Theresa May was right to say that Jeremy Corbyn's "extreme agenda" would plunge the country into crisis; student debt; and if "cancelling Christmas" by axing flights was worth it. Diane Abbott MP, Charles Moore, Penny Mordaunt MP, Steve Richards.